Julian Edelman won the Super Bowl MVP award, right? Like, are we absolutely sure that happened? Because Ndamukong Suh is saying some wild stuff. 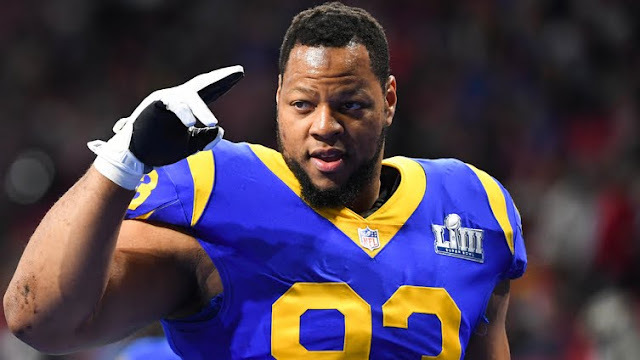 The Rams' star defensive tackle thinks they SHUT. HIM. DOWN. “He's an elite player, plays hard, found some holes in our defense in the first half and pretty much the third quarter,” Suh said. “In my opinion, just thinking back, we eliminated him, even though he got yardages. We just have to not allow points to get on the board and give our offense more opportunities to score." I hate to be the bearer of bad news, but this is incorrect. Edelman caught 10 balls for 141 yards and averaged 14.1 yards per play. If Suh eliminated him, then Anakin Skywalker never became Darth Vader. Doesn't make sense, right? Between this comment and Andrew Whitworth's comments about people dying, the Rams are really looking like a weird bunch.